A former Minister of Aviation, Femi Fani-Kayode, has left the Kuje Prisons, four days after he was granted bail by a high court, his spokesperson said Monday. Jude Ndukwe said Mr. Fani-Kayode was released from prisons Monday afternoon, and he expressed his gratitude to Nigerians for their moral support. Last month, Mr. Fani-Kayode was arrested outside the court premises where he was answering a different case brought against him by the Economic and Financial Crimes Commission. After spending about three weeks in detention, the agency slammed a five-count charge of diverting N26 million in public funds against him on November 10. He was granted a N50 million bail on the same day. 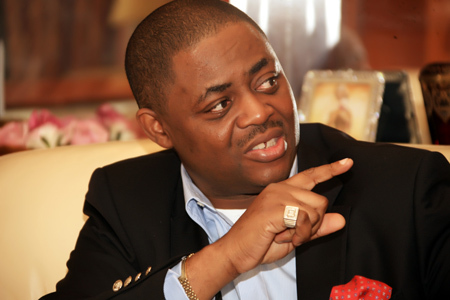 Mr. Fani Kayode served as the spokesman for the failed re-election campaign of former President Goodluck Jonathan in 2015. He had so far spent 91 days in custody for offenses bordering on financial crimes, including the 67 days he spent between May and July. His trial in Lagos stalled on Monday afternoon after he couldn’t show up because he was in detention in Abuja.